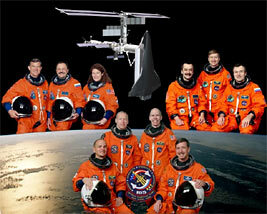 This is the portrait of the astronaut and cosmonaut crew members comprising STS-105 (bottom center) and the Expedition Two (upper left) crew who were replaced by Expedition Three (upper right). Scheduled for completion about 2006, the completed International Space Station will have a mass of about 1,040,000 pounds. It will measure 356 feet across and 290 feet in length, with almost an acre of solar panels to provide electrical power to six laboratories. The assembled space station will provide the first laboratory complex where gravity, a fundamental force on Earth, can be controlled for extended periods. This control of gravity opens up an unimaginable world where almost everything grows differently than on Earth. For example, purer protein crystals can be grown in space than on Earth. By analyzing crystals grown on the space station, scientists may be able to develop medicines that target particular disease-causing proteins. Such crystals for research into cancer, diabetes, emphysema and immune disorders grown on the space shuttle have already shown promise. New drugs to fight influenza and post-surgery inflammation are already in clinical trials, and future research will benefit from the extended exposure to weightlessness available on the station. 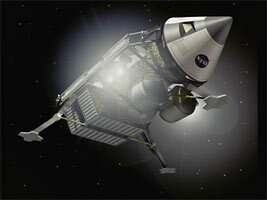 Many of the changes in the human body that result from space flight mimic those seen on Earth as a result of aging. These changes include bone and muscle loss, sleep disorders and hypertension. Better understanding of the causes of these changes may lead to the development of countermeasures against bone loss, muscle atrophy, balance disorders and other symptoms common in an aging population. A crew of four descends to the lunar surface in a spacecraft designed to utilize oxygen produced on the Moon for propellant. 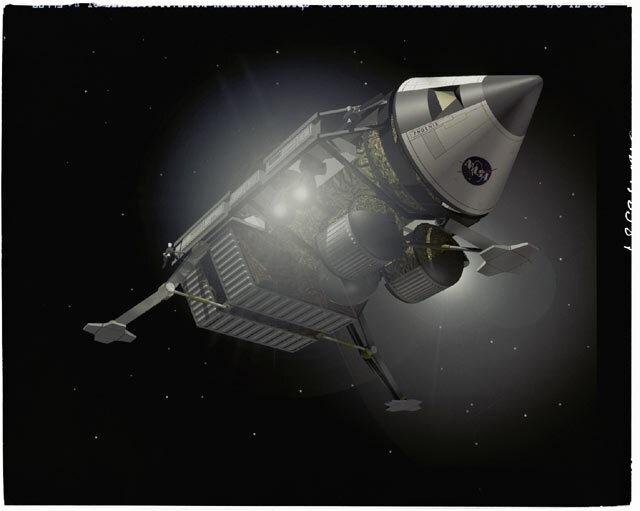 Because of the high performance advantages of in situ propellants, the spacecraft does not need to rendezvous with a second spacecraft in lunar orbit. The ISS will establish an unprecedented state-of-the-art laboratory complex in orbit. Research in the station's six laboratories will lead to discoveries in medicine, materials and fundamental science that will benefit people all over the world. JSC's role is to assure that the ISS vision is successful. For the next 20 years, the center's focus will be on safely operating the space station with America's international partners. Whether future space missions will see human beings travel back to the moon, on to Mars or both, the ISS will serve as a stepping-stone to future destinations in the universe. In addition, JSC, together with scientists and researchers at NASA's other field centers, is working on the technologies that will be required for further exploration of the universe in the next years. For example, a new rocket team at Marshall is developing revolutionary technologies that will make space transportation as safe, reliable and affordable as today's airline transportation. "Within the next 40 years, I think traveling around in near-Earth orbit and to nearby planets will be a lot like air travel is now," says Garry Lyles, manager of Marshall's Advanced Space Transportation Program. "It won't be unusual to catch a ride on a spaceliner to your job on Mars or even to a month-long asteroid-mining mission." Hospitals, business parks and solar electric power stations that beam clean, inexpensive energy back to Earth are likely to dot the "space-scape" 40 years from now. Space adventure tourism and travel, orbiting movie studios, and worldwide, two-hour express package delivery also appear just over the horizon. Laser power stations, perhaps drawing energy from the local environment, might one day propel spacecraft throughout the solar system. 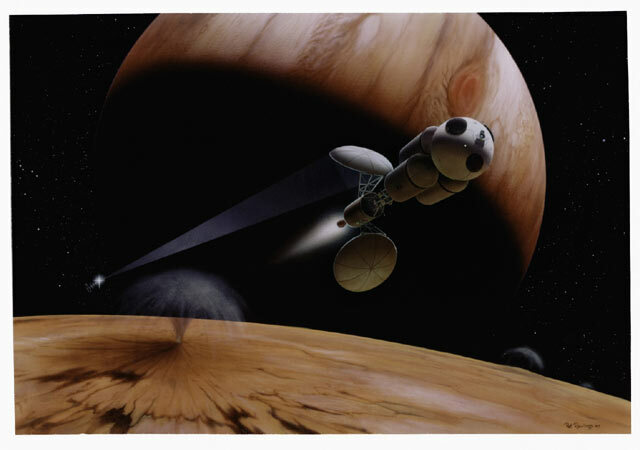 NASA studies of advanced planetary missions have ranged from small robotic probes to multiple-spacecraft human exploration missions. By 2040, it's expected to cost only tens of dollars per pound to launch humans or cargo to space; today, it costs as much as $10,000 per pound. Bridging that gap requires intense research and technology development focused on accelerating breakthroughs that will serve as keys to open the space frontier for business and pleasure. Space transportation technology breakthroughs will launch a new age of space exploration, just as the silicon chip revolutionized the computer industry and made desktop computers commonplace.